Are you legally towing a trailer or caravan? Are you interested in pet insurance? The administration fee in the new fund is higher. The risk profile is not the same and the new fund could technically show a negative performance. It is not a money market fund, as they can hold papers that mature after 12 months and more. There could be capital gains tax implications. We are currently looking at viable alternatives and are negotiating with Investec Bank so that our clients can benefit from favourable terms. We will get back to you as soon as the negotiations are concluded. In the meanwhile, please refer to the Nedbank wealth communique by clicking here. The Budget was by no means earth shattering but a few of the changes will impact taxpayers in the high net worth bracket. By introducing a new 45 per cent tax bracket on income earned above R1.5 million per year is expected to add R 16.5 billion to Treasury’s earnings. Just over 100 000 of South Africans now lie within the new bracket, carrying more than a quarter of the personal income tax burden. Individuals earning more than R188 000 per year and who receive an inflation-linked increase this year will, in fact, with Gordhan’s limited bracket creep, find that their net take-home pay does not keep up with inflation. As was the case last year, this puts pressure on the amount of disposable income and, therefore, available annual savings to channel into investments. Another R 6.8 billion of additional revenue is expected from raising the dividends withholding tax (DWT) rate from 15 per cent to 20 per cent. While private share portfolios are associated with the wealthy, the reality is that middle-class unit trust investors will also be hard hit by this increase. The rate structure for transfer duty saw an increase of the tax-free threshold from R 750’000 to R 900’000 giving relief to low- and middle-income households. This results in a transfer duty saving of R 4500 from March this year. The fuel levy plus RAF tax was also raised by 39c per litre, further reducing disposable income. Moreover, the so-called ‘sin taxes’ will mostly increase by more than inflation this year. Beer increases 12 cents, wine 26 cents, sparkling wine 70 cents, ciders 12 cents, spirits R 4.43, cigarettes R 1.06 etc. In addition, there is a very high likelihood of sugar tax and carbon tax being implemented later this year. The South African Revenue Service (SARS) has raised the withholding tax on the sale of immovable property by non-residents from 5 per cent to 7.5 per cent. Regarding trusts, SARS has now increased the tax rate for trusts to 45 per cent. So your effective capital gains tax rate for a trust is now 36%. For many South African residents, working overseas for a year or two has been the best way to pay off student debts, save for a property or create a financial foundation for them as they continue their careers in South Africa. Treasury has proposed that the current exemption should be amended, to only be applicable where income earned for services rendered in another country was subjected to tax in that particular jurisdiction. There is an increase from R 270 to R 286 for the first two dependants, thereafter R 192 (was R 181) for each additional beneficiary. The fact that personal income tax increased, together with higher fuel levies, will put consumers under even more pressure. Retail properties will be affected by lower trading volumes, especially those retail centres aimed at the high-end market and durable goods. We may well see an increase in vacancy rates as the impact of the ‘tightening the belt’ reality starts affecting spending patterns. The tax revenue deficit now stands at R 30.0 billion. In addition, GDP declined in the last quarter bringing the annual growth rate to a meagre 0.3% which will widen the deficit further. The Government debt now stands at R 2.2 trillion, which is about 50% of the annual GDP. The Minister of Finance certainly has his hands full of challenges! Parliament has passed the much-awaited Taxation Laws Amendment Bill after the Davis Tax Committee’s investigation into income tax reform. Section 7C of the proposed legislation deals with the taxation of interest-free loans to trusts. One of the main benefits of a trust is that the ownership of the assets of the trust is separate from the use and enjoyment of those assets. Estate owners can separate themselves from assets that would otherwise attract estate duty. Until now, it has meant that the trust becomes the owner of these assets without having to pay for the assets. As the estate owner is no longer the owner of the asset, the future growth of the value of the asset is not taken into consideration for estate duty on the deceased estate. This has created some negative perceptions around trusts and taxation. Despite ongoing legislative changes that have resulted in several anti-avoidance provisions in the Income Tax Act, SARS continues to view trusts through a negative lens from a tax point of view. The most significant change that the legislation introduces that the interest charged on the interest-free loan (currently 8 per cent) will be deemed as a donation by the lender. This will be subject to 20 per cent donations tax. But the annual donations tax exemption of R100 000 may be deducted. Many settlors of trusts may have had to revisit the original thinking behind the original estate plan. One might be inclined to abolish the trust loan account, but by doing so could have further tax consequences for the trust. The new legislation has become effective as from 1 March this year. Currently, if a South African works in a foreign country for more than 183 days a year, any employment income earned in that country is exempt from tax, subject to certain conditions. In the February Budget, however, this double non-taxation was deemed “generous” by the South African Treasury. If the proposed changes are approved, it will mean that foreign employment income will only be exempt from taxation in South Africa if it is taxed in the country where it is earned. South Africans working in countries with no income tax, such as the UAE, Saudi Arabia, the Cayman Islands, and Bahrain, will be the most impacted by the change. There is currently a social media campaign informing expatriates on developments to act as a uniform front to oppose the proposed legislation. Many drivers that have a driver’s licence are under the impression, that the licence automatically allows them to tow a boat, trailer or caravan. Whilst this was the case for many years, South Africa converted to the credit card type driver’s licences in 2000. When this instance occurred, 08 licences where converted to code EB licences. Since then, the new standard driving licences issued are code B. This means that a code B licence can only tow a light luggage trailer weighing max. 750 kg fully loaded. In order to tow a heavier trailer, a licence with a code EB is required, which allows you to tow up to 3500kg. Please check your driver’s licence if you are towing a trailer. Should you be involved in an accident with the incorrect code on your licence, your insurance cover might be invalidated! As mentioned in a previous newsletter, Zurich Insurance South Africa was sold to the Canadian-based Fairfax Financial Holdings. With this comes a new brand identity – the new name Bryte Insurance. Existing policy holders have been informed separately. Should you have not received the circular, please click here to view it. With the change from Zurich to Bryte Insurance, the policy wording has been amended in favour for all clients. Please click here to read the details. The changes will also be sent to all BNB Sure policyholders at renewal. Thousands of Ford Kuga owners around the country have to return their vehicles to the manufacturer after Ford SA CEO Jeffery Nemeth announced a safety recall on over 4 500 1.6l EcoBoost Ford Kuga’s built between 2012 and 2014. From an insurance perspective, most standard car insurance policies exclude mechanical, electrical and electronic failure or breakdown. There might be some cases where the reason for a fire is difficult to prove and the insurer would likely pay out. Where the customer has taken out cover specific to electrical and mechanical breakdown, they would be able to claim for losses or damage as a result of these failures. Another unwelcome implication for Ford Kuga owners is that the value of these cars is likely to have dropped significantly. This means that selling a Ford Kuga in the near future is unlikely to be a profitable experience. The recall follows several incidents where as many as 48 Ford Kuga’s caught alight due to overheating, which it has now been revealed is due to a manufacturing fault. The issue gained significant traction after awareness was raised by the family of Jimmy Reshall, who died when his Ford Kuga caught fire and the company now faces a class action lawsuit. It is not clear yet how Ford will choose to assist or reimburse the affected consumers. If you are a Ford Kuga owner, please contact our short-term insurance department so that we can check the cover that is provided by your insurance policy. We have been approached by several insurance companies to offer health and accident insurance for pets. Before we offer such products to our clients, we would like to find out if there are interested clients for such insurance cover. Should you be interested in such cover, please send an e-mail to Mr. Marius Romer marius@swisssure.co.za. We are excited with the success of the new edition of our book “Immigration South Africa – a practical guide for immigrants and investors”. A European book store has since approached us for further distribution via their on-line channels, which includes the online platform Amazon. The editing of the book is on its way and should soon reflect on other websites. Since 21 November 2016, all South African citizens require a visa to enter New Zealand. In an effort to introduce reciprocity, ex-Home Affairs Minister Mr. Malusi Gigaba shortly thereafter announced that with effect from 16 January 2017, all New Zealand nationals will now also require a visa to enter South Africa. New Zealand passport holders wanting to apply for a South African visa must do so in person at the South African High Commission in Wellington, New Zealand as per the South African Immigration law and regulations. On a different note, the South African and Russian Governments have introduced visa-free travels for citizens at the end of March 2017. This is part of the marketing of the 25th anniversary of the two countries for establishing diplomatic ties between them. Some 200’000 Zimbabwean nationals hold the three-year Special Dispensation Permit, which was introduced in 2009 and has undergone renewals. The Department of Home Affairs has said once the current permit expires on 31 December 2017 this would not be renewed. By ending the ZSP program, Zimbabwean nationals (who are in the country illegally) will no longer be allowed entrance into South Africa until they meet the necessary requirements for regular study, work or business visa. Those already living in SA would also need to leave and apply for these visas back in Zimbabwe. This decision by the Home Affairs department was sparked off by violent attacks on foreigners in South Africa which has escalated in the recent months. At a briefing in February, Mr. Malusi Gigaba said the new permit would not be renewed, and Zimbabweans would need to apply for other forms of documentation, such as work or study visas. “We can’t offer permanent residency for such a high number of people,” said Gigaba. The government would, however, not take any decision that would “leave hundreds of thousands of people on the street without documentation”, Gigaba said. In a joint statement from several representatives of Zimbabwean special interest groups said they would intensify lobbying efforts to get clarity from the department, including on the need to return to Zimbabwe for new forms of documentation, and clarity on under which circumstances those holding permits could automatically migrate to new types of visas. The minister is reviewing the matter and one has to wait for the official announcement from the Minister of Home Affairs. The Department of Home Affairs rejected 148 applications for business visa renewals and 48 new business visa applications, without approving a single new business application between January and December of 2016. This emerged in a written reply from Mr. Minister Malusi Gigaba to parliamentary questions. The figures are sure to raise eyebrows as SA continues to grapple with high unemployment and a lacklustre industrialisation drive. Gigaba has taken what many migration researchers consider to be an inward looking, protectionist stance on migration since he was deployed to the Department of Home Affairs in 2014. Gigaba said most applications were rejected because of fraudulent supporting documents, with many applicants submitting fraudulent chartered accountant letters purporting to confirm the availability of funds for business. Please note the PR sticker in your passport is no longer sufficient when you cross the SA borders. You need to carry your certified copy of your Permanent Residence Permit with you to avoid problems. Also make sure that you carry your ID book with you as many officials have started asking for it. The insurer had to amend the policy conditions and underwriting guidelines due to the new legislation that was implemented on 1 April 2017. All clients have been informed separately. Should you not have received the circular, please click here to view it. We are sad to announce that Ms Amanda Rasch will be relocating back to Switzerland with her family and therefore leave SwissSure as per the end of April 2017. We would like to thank her for her excellent work over the last 8 years and wish her all the best with her future plans. Mrs. Vicki Hindle has joined us in the meanwhile to take over Ms Rasch’s responsibilities. She comes from Johannesburg and has got full short-term insurance experience. We welcome Mrs Hindle in our team and wish her lots of fulfilment in her new job. 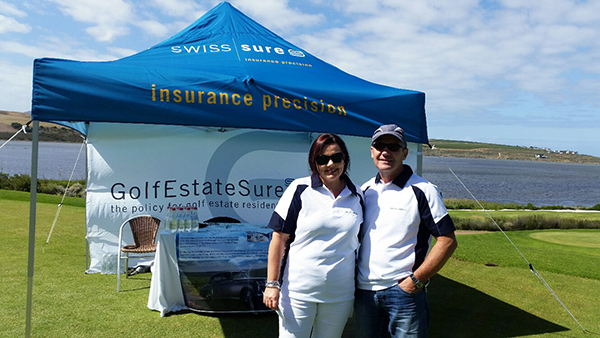 We recently supported the Golf Day at Arabella Golf Estate in Kleinmond. 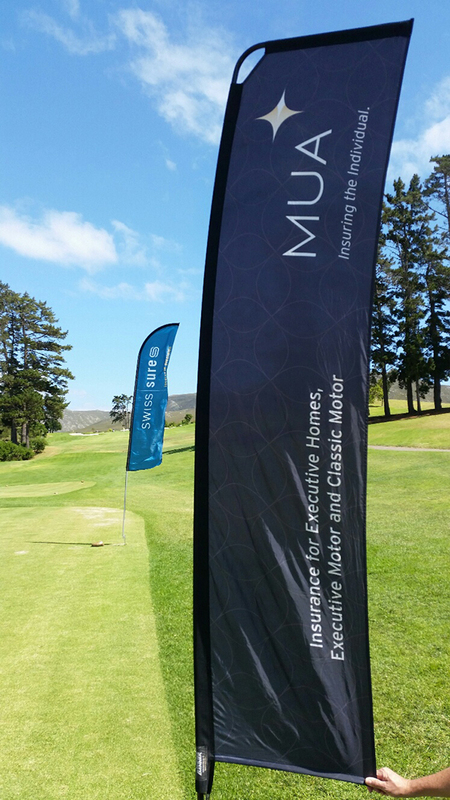 MUA Insurance Company sponsored a lucky draw which included a tour to a wine estate in a chauffeur driven 1957 Bentley. 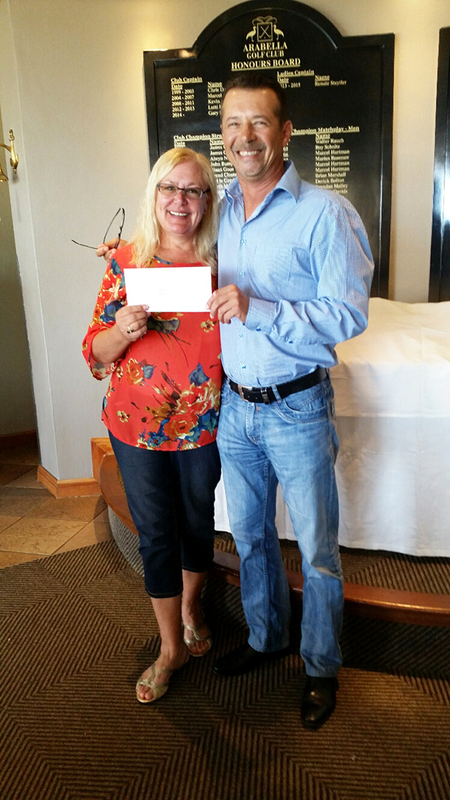 Congratulations to Mrs Anneli van Zyl who was the lucky winner of this fantastic prize! South Africa’s sluggish economy is forcing homeowners to find creative ways to make their property work for them, and Airbnb — a website that lets homeowners rent out space in their home. One in four Airbnb properties in Africa is in Cape Town. According to a Cape Times report, Airbnb has recently grown from 10,000 to 15,000 listed properties in Cape Town as property owners seek to make extra income, said Alan Winde, Minister of economic opportunities. The hospitality industry has called for stricter regulations on Airbnb, saying property owners should be subject to the same rules that govern hotels, Independent Online reported. International arrivals at Cape Town International Airport were up 22 percent in September and October 2016, compared to the previous year, Winde said. In Cape Town, the most affordable property on Airbnb is the Sleepy Backpackers in Gordons Bay at $ 13.57 US per night for a shared room. Some of the more expensive Cape Town area listings include a house in Fresnaye for $ 1165 a night. There has been some confusion recently, as some officials at the Traffic Department refused to register vehicles in the name of foreigners. The Road Traffic Act states that if a foreigner wants to obtain a Traffic Register Certificate (TRC), he needs to provide a valid passport, proof of address in South Africa and a valid visa. Some officials have misread the Act and asked our clients from Germany and Switzerland for a long-term visa. Most European countries are visa-exempt and travellers will be issued a stamped 90-day visa at the airport, which is in fact a perfectly valid visa. We have double-checked the facts with the Western Cape Government, section Transport Administration and licencing and the Department has confirmed that our facts are correct. The Department has undertaken to inform all branches in order to alleviate the confusion amongst staff. We have also double-checked the period, by which a foreigner needs to convert his foreign licence to a South African driver’s licence. This period is still 5 years from the date the foreigner has obtained his/her permanent residence. Some officials still think that the period is one year, which is not correct. 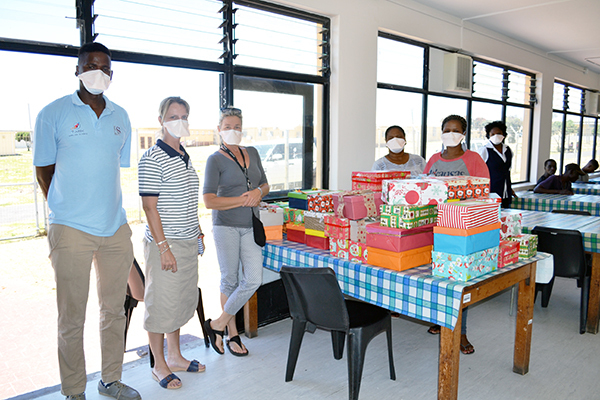 As part of the Nelson Mandela legacy “67 minutes” every staff member created and filled a shoe box for teens and young adults infected with TB who are being treated at the Brooklyn Chest TB Hospital in Ysterplaat. 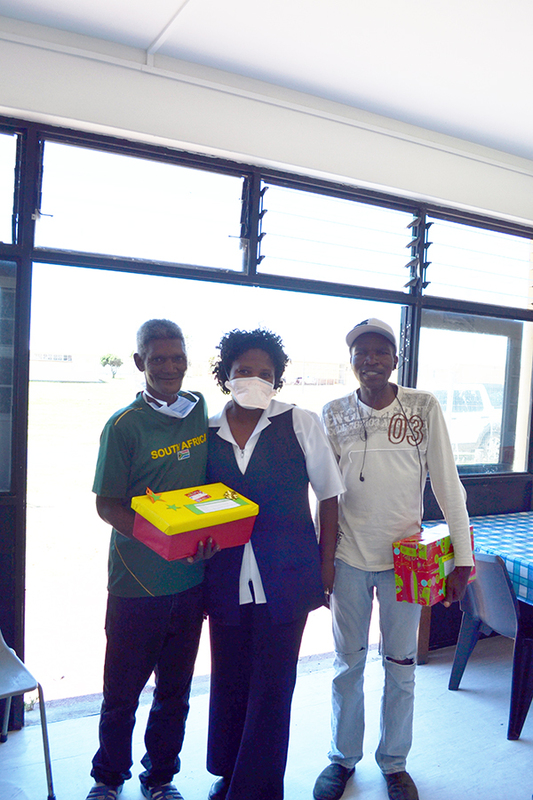 We dropped off the love filled boxes in December 2016. Roger Trigg is an established and well known jeweller and gemmologist in Cape Town. He is recommending that you update all your valuations due to fluctuations in precious metal prices, diamonds and the Rand. Please click here to find his details.